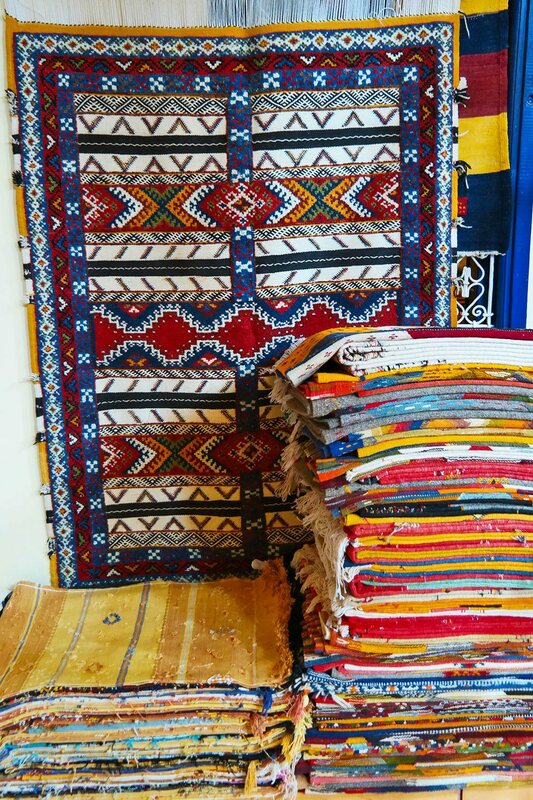 I just got back from Morocco, and wanted to share 15 photos that showcase the vibrant colors and the amazing textures and prints that Morocco is all about. Stay tuned for more travel stories – and pictures – from my epic trip to Morocco. My entire March was full of exciting travels, in fact I did three work related trips on three continents. 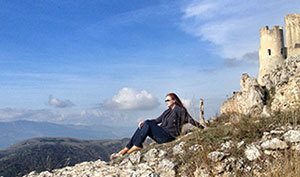 I was at the SXSW conference in Austin, Texas, attended the Rota das Estrelas gourmet festival in Madeira island in Portugal, and then I spent five days in Morocco, including camping in Sahara desert. Even here in Sweden – I managed to squeeze in a trip to Stockholm to see the new Game of Thrones exhibit. I have a few trips scheduled still for this spring and summer, but I am ready to stay home and write! 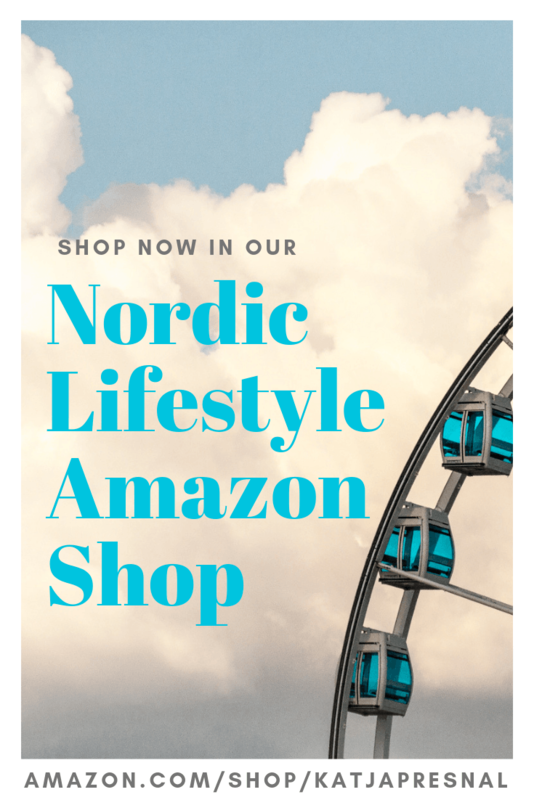 It was a little bit quieter here at the site, but I did publish our latest magazine issue even during my busy travel month. Our team did incredible job with all of the inspiring features, I hope you like it. But before anything else… Morocco via 15 photos. 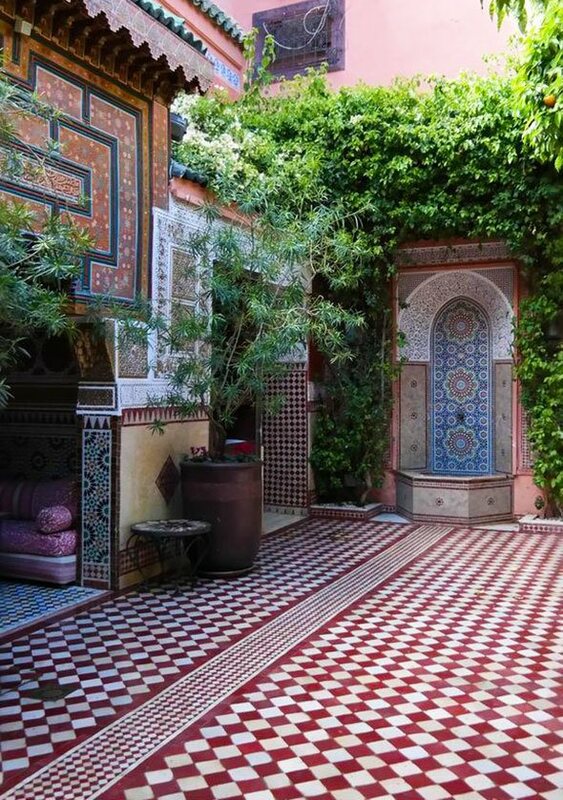 I just couldn’t get enough of the colorful Moroccan tile. 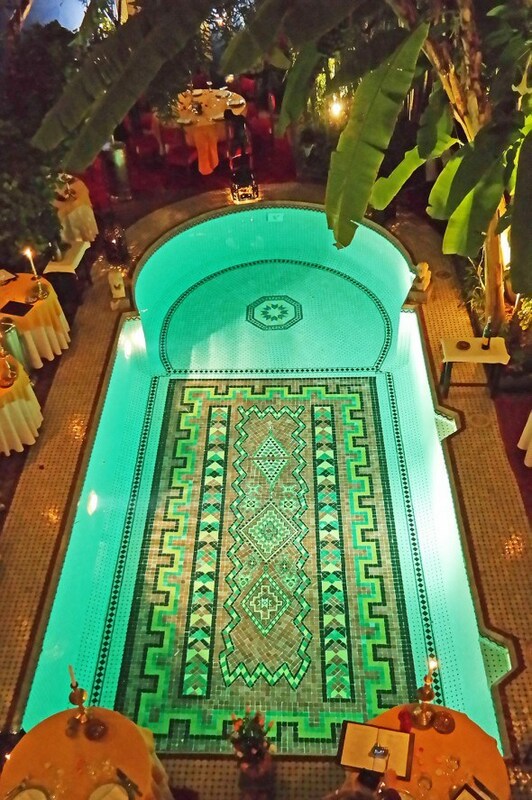 On the walls, floors, pools, tables… beautiful tile everywhere. First picture is from a Koran school in Tamgout village. 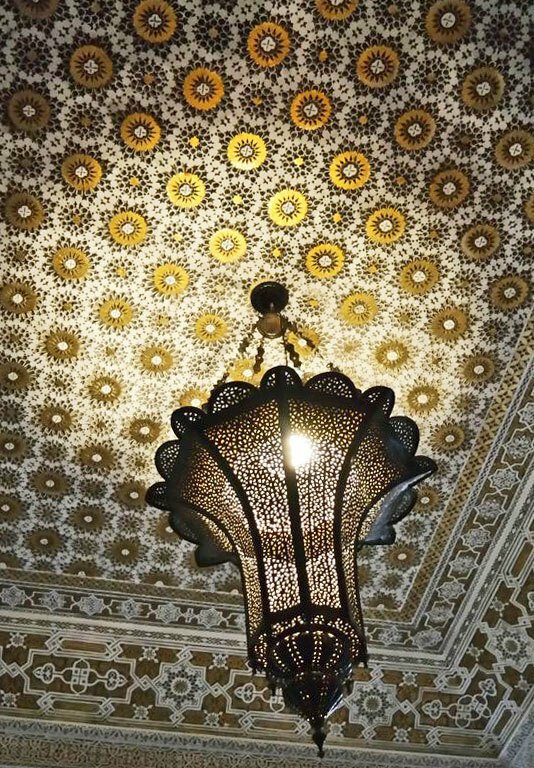 Many of the lovely riads of Marrakech are turned into hotels and restaurants. Above is our lunch restaurant Ksar El Hamra, the below one is our dinner restaurant Dar Moha Almadina. I highly recommend both of them. 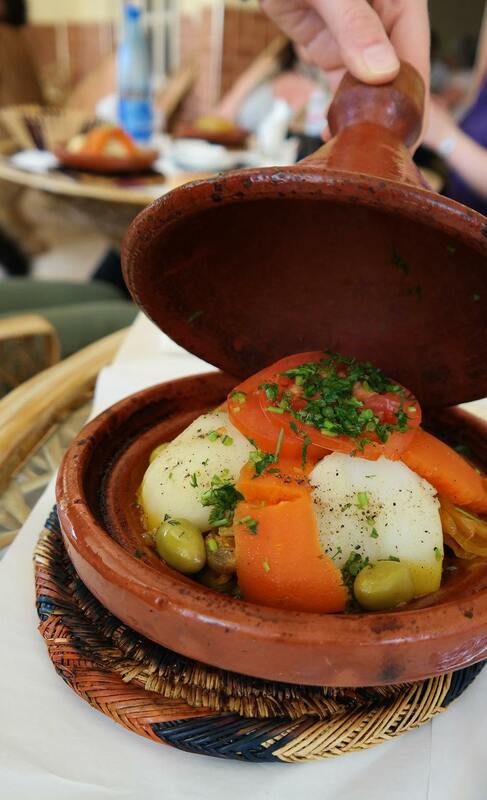 You can’t talk about vibrant colors of Morocco without mentioning the food. While we ate a few dishes (like meatballs with fried eggs on the top) that were everything buy eye-pleasing, many of the dishes in Morocco look amazing. Lot’s of fruits, vegetables, fresh produce. 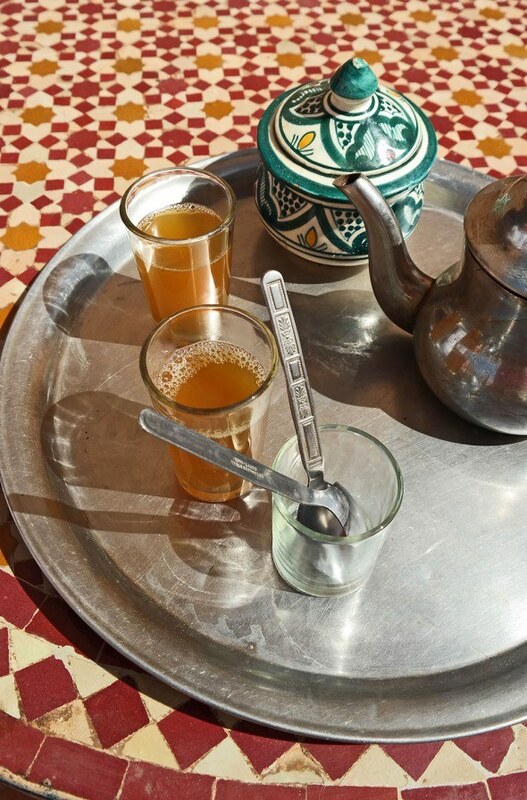 The Moroccan tea moment is also visually pleasing. It comes served in a silver pot in usually beautiful stained glasses, and tastes sweet and minty. 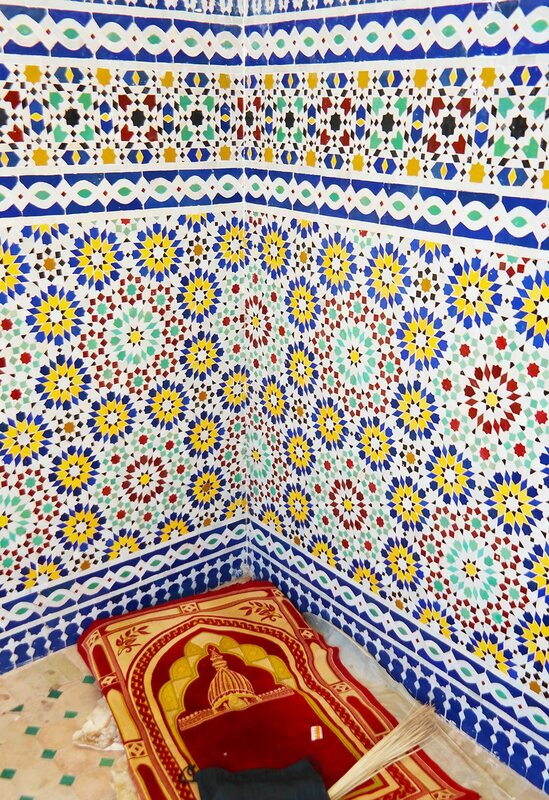 It’s not just the tile that is vibrant and colorful in Morocco. 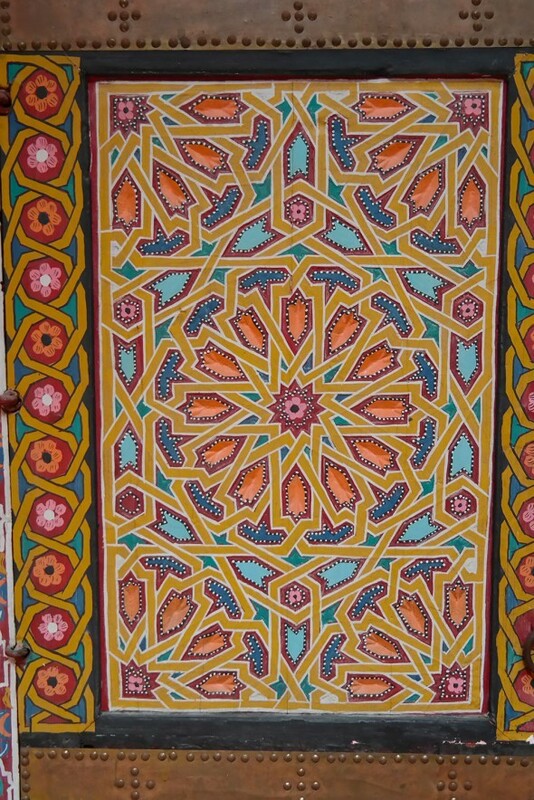 The riads are full of amazing painted details. The doors, ceilings and pilars painted in bold colors and beautiful pictures. The most stunning were all of the ceiling paintings, truly incredible. And of course, you can’t go anywhere without seeing the gorgeous lanterns. 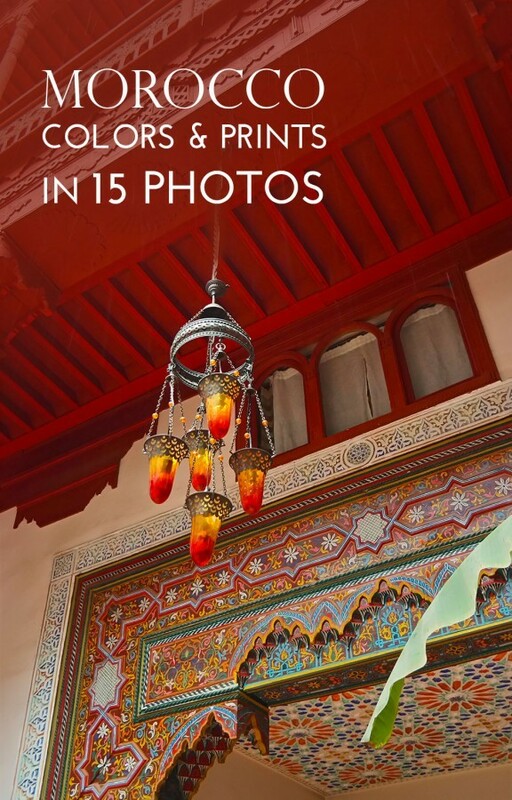 The combination of vibrant colors, paintings, and the Moroccan tile with the lanterns that light the space and bring ambiance made truly an unique experience. 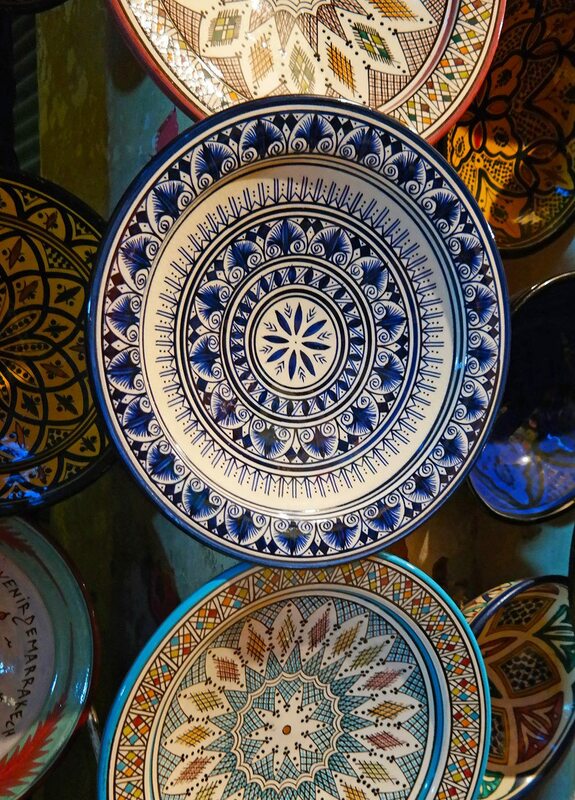 The handmade and hand-painted pottery is another art form to love in Morocco. The bazaars and roadsides are full of places to get your hands on the beautiful pottery on very low prices. Just make sure you know your luggage limitations with your airline before you shop. Many of the meals we were served came in these large plates, but I also loved the smaller pots and containers for decorating. Pottery isn’t the only thing you might want to bring back home. Jewelry, leather goods like bags, home decor items, poofs, spices, argon oil, and of course the lanterns. 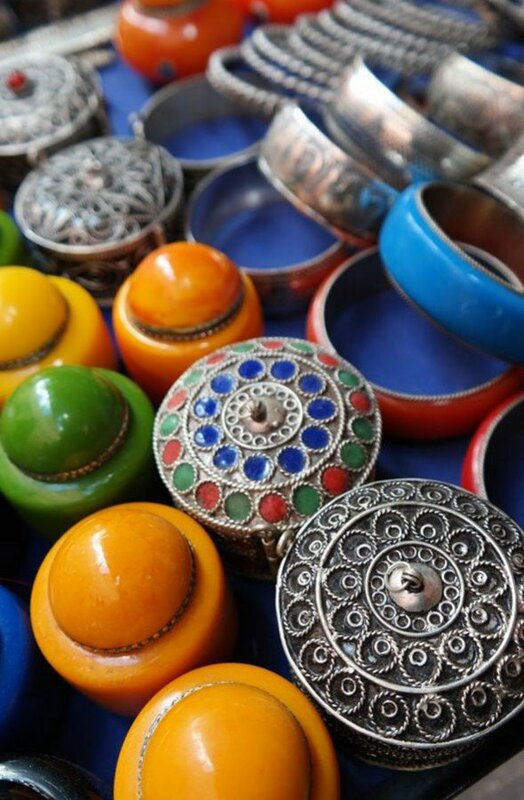 I personally can’t stand haggling, but if you are good at haggling, Morocco is your place to shop for unique items for a low price. When you travel to some very touristy destinations, let’s say like Venice in Italy, you will find products that look like local, but are made in China. 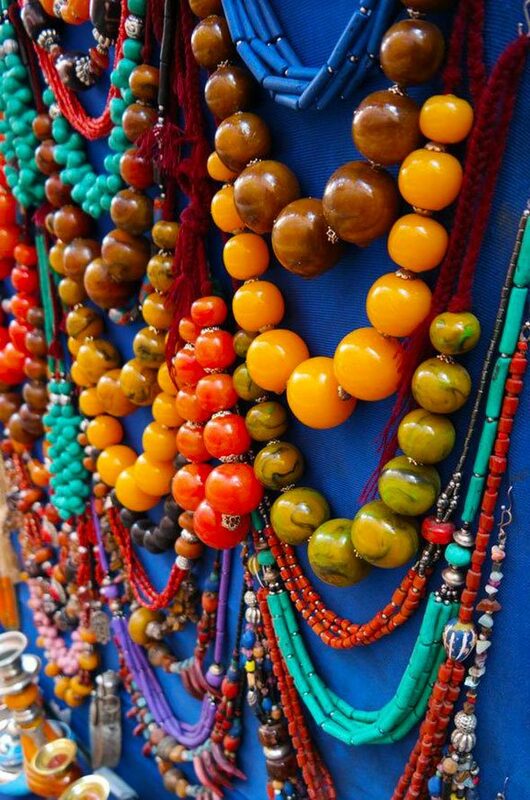 This is not the case in Morocco – the products you see at the markets and bazaars are actually made in Morocco. 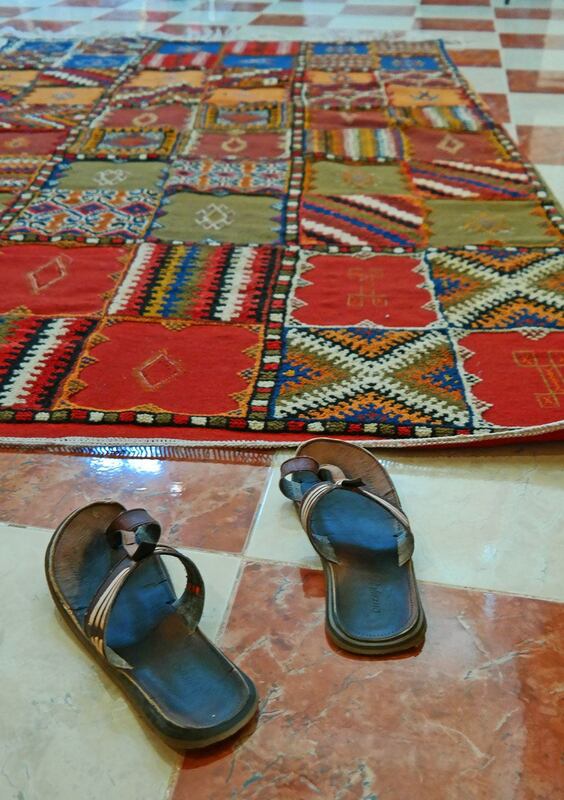 If you truly want something authentic, buy a Berber rug from Morocco. 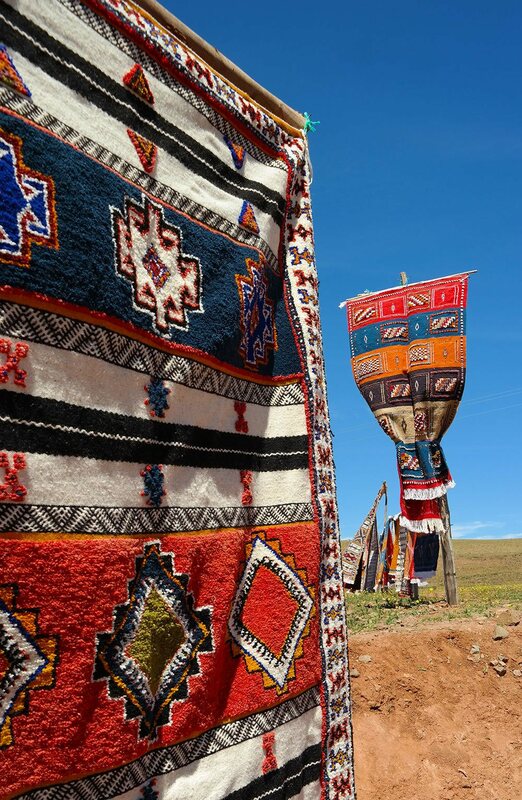 They are made by using the ancient rug making tradition and it can take months to make one. 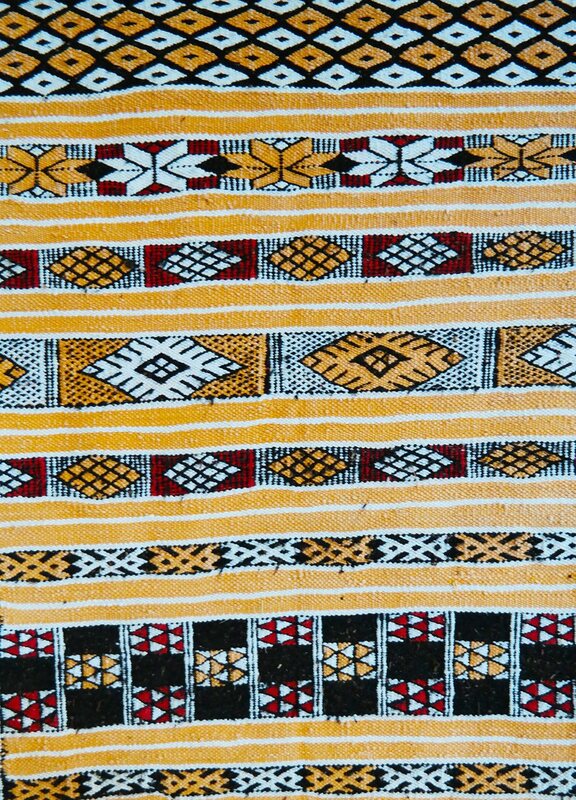 More about the art of Berber rug making in a future post, now just a quick look into the vibrant colors of the Berber rugs. I’m thinking about going to Morocco for my next big trip! The colors are stunning! I would love to hear your other impressions of what it’s like there! I LOVE these photos! I really enjoyed following along on this trip via Instagram. Morocco seems amazing in every way and it fascinates me how it is so close to Europe but so very different! Gorgeous! !